Landscape Truck Bodies | Aluminum & Steel | T.P. Trailers, Inc. When there are lawns to cut, and weather to beat, you need a landscape truck body that will help you get the job done quickly and easily. At T.P. Truck Equipment, we provide quality landscape bodies that are suited specifically for landscapers! Find aluminum and steel truck bodies that are capable of hauling mulch and stone. We also carry aluminum and steel chipper bodies that make easy clean-up when you’re done for the day. Call us today to find out more! Whether you’re in the need for a steel or an aluminum truck body, you can find your right fit, here! Our manufacturers design landscape bodies with landscapers in mind. Our aluminum truck body has cab guards, side doors and has a dumping capacity of 16,600 lbs. or 17,000 lbs. 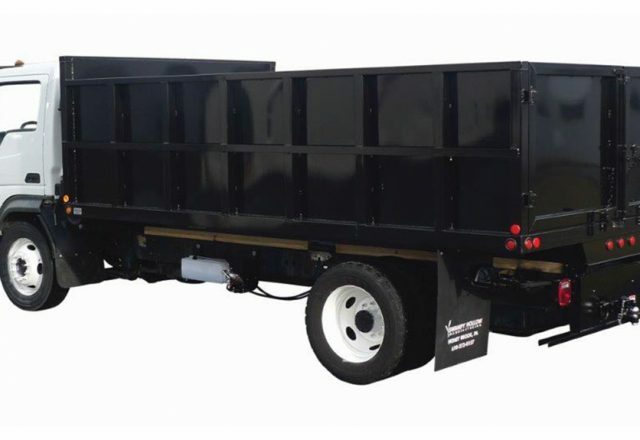 Our steel truck bodies are great for hauling mulch, wood chips, trash and more. 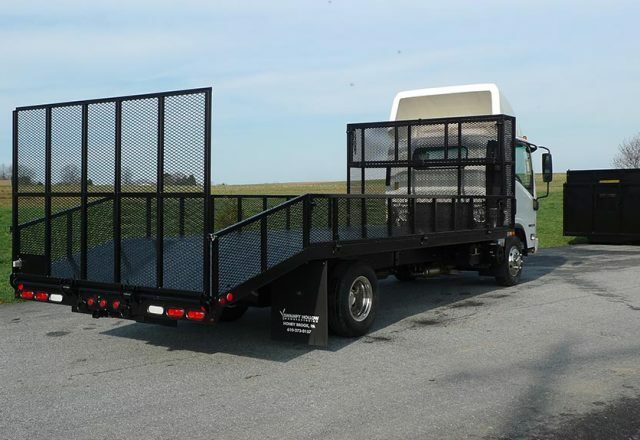 With our open landscape bodies that have 4’ beavertails and a 72” long metal spring-assisted loading ramp, mesh sides and mesh bulkhead, you’ll never have to worry about maintaining or hauling a trailer. Load your equipment easily and directly onto your chassis. Models range up to 20’ with beavertail and have multiple options to choose from, call today to customize your new landscape body! Cleaning up old tree limbs, and collecting leaves will be a breeze with the options available from our manufacturers. Replace your truck bed with a steel chipper body that has models ranging from 8’ 6” to 16’ 6” and also has multiple options such as 26” overhangs, chip body toolboxes, top or side ladder racks and custom widths and lengths. We also have an aluminum dump insert that holds up to 10 yards of leaves or grass. This leaf body includes a mesh tarp, bungees, swing out tailgate and an area for your vacuum snorkel! Additional options include hardtop models as well!